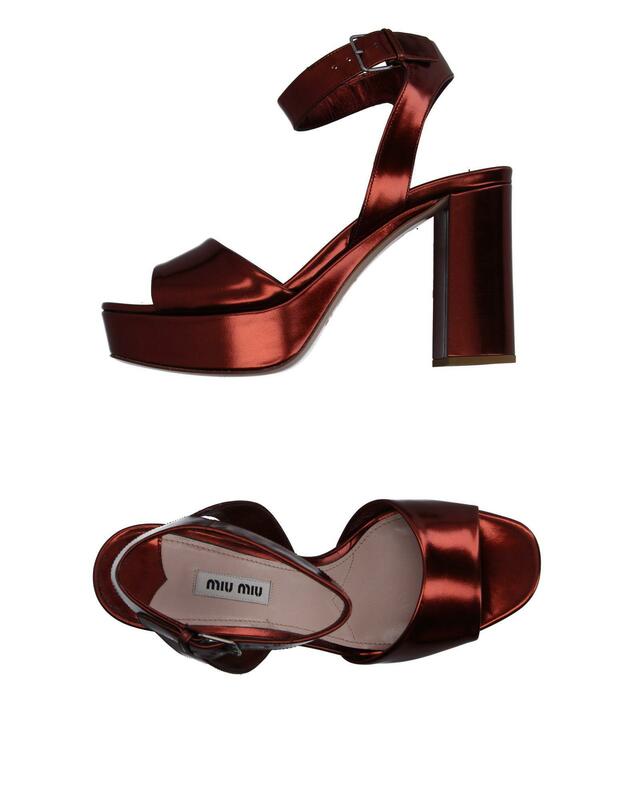 See more Miu Miu Sandal heels. We check over 450 stores daily and we last saw this product for £301 at YOOX. Laminated effect, no appliqués, solid colour, buckle, round toeline, leather lining, leather/rubber sole, square heel, covered heel, contains non-textile parts of animal origin. Kidskin.